This post is part of an ongoing series here at Livie's Gone Gluten Free! If you want to see the other posts . . . click here. After the post I wrote on the Super Bowl, I felt the need to write another post on manners. So . . . here goes. Differences aren't license for ridicule. I know, I know . . . there will ALWAYS be people who get their kicks from tearing others down. Don't get me wrong, I recognize that. But that's not what I'm talking about. See, people in the Gluten Free Community (myself included) fight on a regular basis to have our intolerance/ allergies/ Celiac Disease recognized as a real problem. You see, most of us didn't choose this life style. We HAVE to eat this way in order to avoid a plethora of unsavory symptoms, which luckily are mostly preventable simply by following a Gluten Free diet. Therefore, when people mock us for eating a certain way so we don't get sick . . . it's quite offensive. You see, 1 out of every 133 people suffers from Celiac Disease and even more people have a Gluten Intolerance. Making light of their legitimate dietary restrictions is just not considerate. Just because we eat differently doesn't mean we've become immune to ridicule. Please just be considerate of the folks around you. It makes life a whole lot easier. What are y'all's thoughts on this topic? I'd love to hear what you think in the comments below, but please be nice. Have a Marvelous Monday, y'all! NBC released their Super Bowl advertisement. Their ad is specifically targeted toward NASCAR fans and their upcoming coverage of this popular "sport". In this new ad to be seen by millions during the most-watched sporting event of the year, they clearly communicate that people who eat Gluten Free are somehow weaker and "part of America's problem". This isn't the first time people have used the Gluten Free community as a target for "humor", but to my knowledge this is the first with such an enormous, worldwide audience. This ad communicates an awful idea of the reasoning behind eating Gluten Free as opposed to recognizing it as a lifestyle required for those of us with an intolerance to Gluten or Celiac Disease. If you haven't seen the ad, you can watch it below. I could say lots of ugly things about this ad, but that would do no good. So, I will simply say this: there is a time and place for "comedy". There are certain topics acceptable for comedic license in the media -- complete with its wide-reaching impact. However, making fun of people who eat Gluten Free as "weak" and "part of America's problem" is absolutely unacceptable. Common courtesy alone would dictate this is inappropriate, and I don't understand why you would use a public forum such as a Super Bowl ad to portray this close-minded and allegedly uninformed view. If you'd like to sign the petition started by GlutenDude to have NBC remove this ad from the Super Bowl line up, go here. Have a great night, y'all! This is part of a series of posts. Find the other two here and here. Hey y'all! You know we've chatted about manners before, and if not . 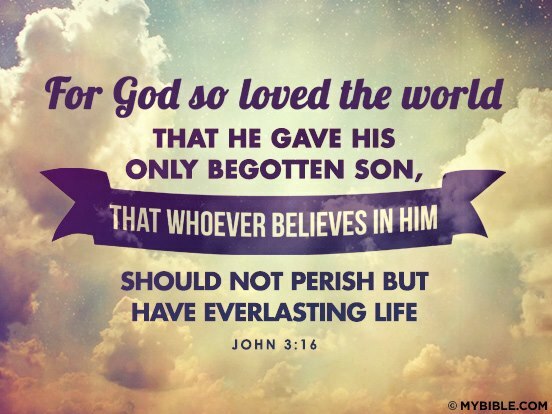 . . check out the links above. Today we're going to talk about manners again, which I'm SURE you're stoked about! ;) Let's dive in . . . shall we? Don't act like eating Gluten Free is a fad diet. "Everyone deserves to cheat once in a while!" "You can restart your diet tomorrow." "Just get over it, pizza isn't going to kill you." Not only are these statements rude and out of line, they also rapidly communicate unintelligence. Here's why . . . If you know someone who's dealing with an allergy or intolerance, eating Gluten Free isn't something that's optional for them, it's a necessity. You see, I really don't enjoy my skin breaking out, and just overall feeling cruddy. I didn't ask for my body to react that way to Gluten, but it does. And so, I eat in a way to prevent adverse reactions. If you know someone who eats Gluten Free for a health reason, please don't act like it's some strange dietary choice. Being Vegan is a dietary choice, and although there are a select few folks who do eat Gluten Free by choice, most people eating Gluten Free are doing it for a health reason. As we've discussed before, eating Gluten Free is something that's hard enough as it is. Please don't make it more complicated for your friends/ guests by mocking their dietary restrictions. Just think before you speak, if it sounds rude in your head, it will outside of it too. That's all the Manners Lessons for today! Tune in tomorrow for a new post! This is the second post in a series. If you want more info on Gluten Free Manners, check here! Gluten Free Manners aren't something you're going to learn in school, so I decided to teach a "class" on them here at my place. I am pulling from my own experiences with living Gluten Free in addition to some other things I feel need to be covered. With that being said, let's get started on today's "lesson". Rule #2: Do NOT use someone else's allergy or intolerance to make yourself look good. Eating something different from the group you're sharing at . . . hmm . . . let's say, a dinner party is not necessarily the most comfortable position for you. Making a big deal about it doesn't help the situation feel less awkward. If you think accolades will come from touting your "compassion" as a host/ hostess by preparing a special meal to suit your guest's dietary restrictions, I believe you're sorely mistaken. For example, you're at this dinner party, and y'all are having steak as the main course. Now let's say you wanted your steak medium rare as opposed to well done, and the host/ hostess walked around bragging to everyone how great he/she was because he/she cooked your steak medium rare, and displaying your medium rare steak to all the other guests at the table. It'd seem a bit odd, wouldn't it? That's how it feels when people announce that they've cooked something special for someone with a food allergy or intolerance. Just as you hopefully wouldn't have made a huge deal over that medium rare steak, you shouldn't feel the need to find kudos in your choice to make a gluten free option for me when I didn't ask for one. Let me explain something here, having an intolerance or allergy to any kind of food isn't fun in the day to day. You already feel a wee bit freaky because you have to adapt to or account for so many variables in deciding what's safe to put in your mouth. The last thing you want at that point is someone pointing out your intolerance or allergy for their own benefit or accolades. I personally don't want to just be known solely for my dietary restrictions or have the virtual banner cast around my neck because you want to be patted on the back. 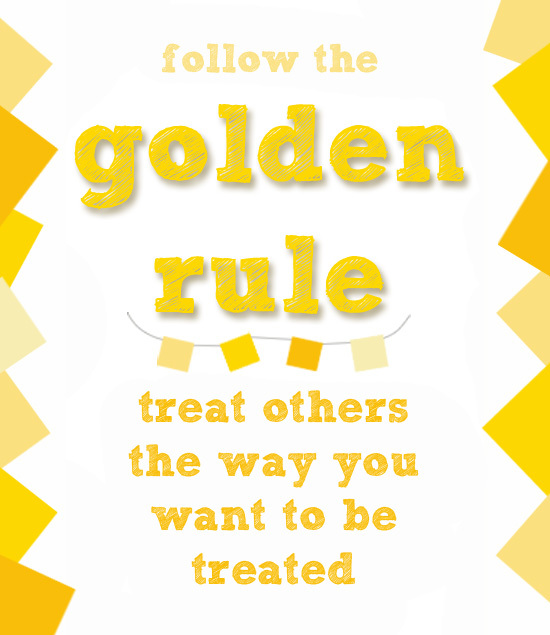 In conclusion, the golden rule is a great rule of thumb for this type of situation. Treat others the way you'd want to be treated. Would you want your special dietary restrictions or preferences put on display, or would you prefer to be left to eat your meal in peace without drawing any further attention to the fact that your plate is loaded with salad minus the stuffed shells and chunky slabs of baguette slathered in garlic butter? I can usually find something at most meals that will not compromise my need to eat gluten free, and I will bring my own food rather than have attention gathered around me from your efforts to make accommodations specifically for me. If you find yourself in the situation above, first off, I'm sorry for the inconsideration of that type of person. The best advice I can give you is to not mention it to the person in front of a group. If you know the person well, I'd suggest maybe mentioning privately at a later date that you'd prefer they not draw attention to your special needs publicly in the future and explain how it made you feel. If you don't know the person well; bite your tongue and demonstrate the graciousness they're clearly lacking. Okay, so I don't know about y'all, but having a food intolerance/allergy as a teenager is HARD. Personally, I've found people are unsure as to whether you're able to handle it on your own, or if they need to watch you like a hawk and keep you "out of trouble" like a first grader with a peanut allergy. I understand their desire is to be helpful. I really do. Yet, I'm perfectly capable of taking care of my intolerance and diet restrictions, but well-meaning people don't always "get" that. Do not tell people what they can and cannot eat. Although it may seem sweet and thoughtful to read the ingredients label for me and see if it has any wheat products, there is really not a good way to communicate your findings without making the person on the receiving end feel about five years old. I'm sure your intentions were to be helpful, but normally teenagers with specific diet needs are used to reading labels on their own. and you forcefully stepping in with no prior experience to Gluten Free Living isn't exactly the way to go about it. So, in the future, maybe say "I think this may have wheat in it; would you like for me to check?" Just don't do it automatically, unless you're with a child who can't read labels or take care of their intolerance or allergy independently. Otherwise it can come across more harmful than helpful. "Thanks SO much for looking over that for me! It was really thoughtful of you, but I've been reading labels for quite awhile now and may find ingredients containing wheat that you may not notice. Do you mind if I take care of it myself from now on?" Or, you could go with, "I'm so glad you thought of me, and my ______________ (fill in the blank with your allergy or intolerance) but I'd really prefer to handle it on my own since I am familiar with the different terminology and specific things to look for on labels. Thanks though! Overall, there are tons of ways to handle situations like the one above. Pick the way that works best for you. The ideas above are simply suggestions. Remember, be kind and address their input respectfully and with a good attitude. What are some ways you would handle the above situation? Don't forget to let me know!! Have a marvelous Monday y'all! Also, check back for more Gluten Free Manners posts soon!